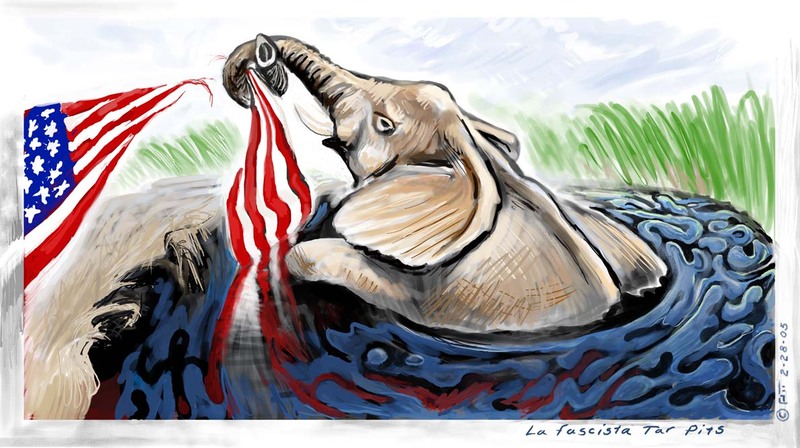 Is the Shadowy World of ALEC and the Koch Brothers Leading the GOP’s Charge to Suppress the Youth Vote? Submitted by BuzzFlash on Mon, 04/04/2011 – 11:55am. Nearly forty years after a constitutional amendment conferring voting rights on eighteen year-olds was passed into law, and signed by President Richard Nixon, the American Legislative Exchange Council is doing all it can to make it difficult for young people to vote. Nearly forty years after a Constitutional Amendment giving 18-21 year-olds the right to vote, Republican legislators across the country are trying to disenfranchise youth under the subterfuge of combatting “voter fraud.” However, as Christina Francisco-McGuire recently pointed out at progressivestates.org, instances of *voter fraud “are so rare that one is more likely to be struck by lightening.” Amongst the legislation being pushed in various states are photo id requirements, the abandonment of election-day registration, and the redefining of student residency requirements. 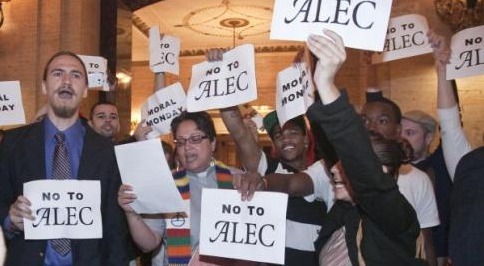 “The American Legislative Exchange Council (ALEC), a conservative organization linked to corporate and right-wing donors, including the billionaire Koch Brothers, [see “Smart ALEC: Dragging the Secretive Conservative Organization Out of the Shadows” — http://blog.buzzflash.com/node/12551] has drafted and distributed model legislation, obtained by Campus Progress, that appears to be the inspiration for bills proposed by state legislators this year and promoted by Tea Party activists, bills that would limit access of young people to vote,” Tobin Van Ostern reported in Campus Progress in early March (“Conservative Corporate Advocacy Group ALEC Behind Voter Disenfranchisement Efforts” —http://campusprogress.org/articles/conservative_corporate_advocacy_group_alec_behind_voter_disenfranchise). Van Ostern wrote: “According to research by the Fair Elections Legal Network (FELN) and Campus Progress, in the past six years, seven states have enacted laws that disenfranchise students or make it more difficult for them to vote. This year, 18 additional states are considering similar laws, while other states are proposing voter ID laws that would depress turnout among other groups of voters — particularly those who traditionally lean left. Van Ostern’s investigation found that “Many of the state proposals appear to stem from model legislation known as the Voter ID Act (also known as Photo ID) that was developed by the American Legislative Exchange Council.